Creole Cuisine Restaurant Concepts introduced its first location in 1989 and has grown at a rapid pace ever since. We strive to consistently deliver a standard of excellence in all parallels of our business. CCRC remains committed to keeping our concepts fresh, exciting and on the cutting edge of the hospitality and entertainment industries. 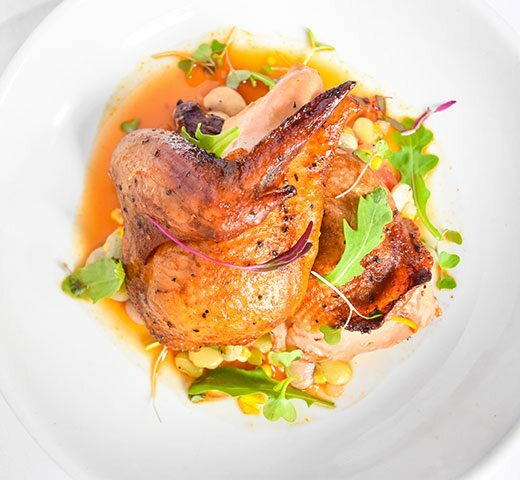 Our chefs create authentic New Orleans cuisine while incorporating current trends to produce innovative dishes that use only the freshest ingredients. We unfailingly provide our guests with superb service by demonstrating graciousness, knowledge and integrity in our performance. Creole Cuisine Restaurant Concepts also caters to special events with various venue options. We are home to two premier special event venues, Bourbon Vieux at 501 Bourbon Street above Bayou Burger & Sports Company, and Marché, located above the French Market, as well as many private party spaces throughout the French Quarter. We provide all who work with us a friendly, cooperative and rewarding environment, which encourages long-term employment and growth opportunities. CCRC’s repertoire is ever-expanding and has grown to include many restaurants and daiquiri cafes throughout New Orleans. They include, Broussard’s, Kingfish, The Bombay Club, Boulevard American Bistro, Royal House Oyster Bar, Cafe Maspero, The Original Pierre Maspero’s, Bayou Burger & Sports Company, Chartres House, Pier 424 Seafood Market, Creole House Restaurant & Oyster Bar, Crescent City Pizza Works, Daiquiri Paradise, and all of the Big Easy Daiquiris & Big Easy Café & Daiquiris locations. Our mission is to promote a family atmosphere among our employees, guests, suppliers and our community, while focusing on our commitment to being “Best in Class”.